A business plan consultant is a qualified individual who provides strategic advice, and oftentimes execution capabilities, to the management teams of startups, growth-phase businesses, and mature corporations, organizations, or non-profits. They are a cross between management/strategy consultants and CFOs, and thus come with strong quantitative and analytical capabilities as well as execution experience. Given the multi-faceted nature of business and the idiosyncrasies of each unique venture, the best business plan consultants come with diverse backgrounds that span industries, venture life-cycle stages, macro-environments, and cycles, and more. How Do Business Plan Consultants Add Value? Depending on the mandate, business plan consultants bring at least the following to the table: a holistic view of your business, business plan and business model; addressable market sizing (TAM) expertise; go-to-market strategy; pricing and monetization plan capabilities; as well as experience in customer acquisition strategy and fundraising design. Experience and advice notwithstanding, clients can expect one or more of the following tangible outputs from their business plan consultants: (1) An investor pitch deck, (2) a more traditional 20-30 page business plan, (3) a range of board presentations and presentation materials, (4) market research/TAM reports, (5) a range of financial models, analyses and forecasts, and/or (6) any other custom requests mutually agreed upon as part of the mandate. The decision to hire a freelancer vs. a full-time equivalent (FTE) depends on the size, stage, resource-base, and priorities of the given company. Most startups are too small to justify the cost of an individual as experienced and capable as a well-seasoned business plan consultant, and larger companies who have these capabilities in-house may struggle with the threat of “resource drift” (i.e., where resources become spread thin across too many priorities and thus less productive). Freelancers also come with other advantages (each of which are explored further in the body of the article): (1) they allow clients optimize their value to overhead ratio, (2) allow them exploit the opportunity to add an extremely experienced resource at a much lower, variable price than they would for an FTE; and (3) allow companies do so while maintaining flexibility in their ability to hire, fire and experiment with many consultants over a short period of time. For whatever reason, finance, as a professional vertical, is one whose roles and job descriptions have always come across as generic and/or nebulous to the outsider. The title and role of business plan consultant is a great example of a sub-vertical within the finance discipline whose underlying importance and value creation potential far exceeds what its title might suggest. Based principally on my experience at Toptal, where I’ve consulted for a variety of clients across a plethora of industries, this piece will attempt to demystify what a business plan consultant is. More so, I’ll explain how business consultants create value, and what skills, attributes and experiences separate the “value adding” consultant from the rest of the pack, and how best to take advantage of them. A business plan consultant is a qualified individual who provides strategic advice, and oftentimes execution capabilities, to the management teams of startups, growth-phase businesses, and mature corporations, organizations, or non-profits. They are effectively a cross between management/strategy consultants and CFOs, with strong quantitative, qualitative and also execution capabilities. Given the multi-faceted nature of business as a discipline and the inescapable idiosyncrasies that characterize each unique venture, the best business plan consultants come with incredibly diverse backgrounds which enable them quickly wrestle with, traverse and add value to their clients’ needs. More descriptively, every business exists and competes amidst its own unique set of challenges, contexts, and pressures. Companies vary by industry, life-cycle stage, target/end consumer, macro-environment or cycle, and more; dynamics that are complicated further by the varied personalities and priorities that guide them. Hyperbole aside, the best business plan consultants really must have had truly varied experiences, industry exposure, and strong execution acumen to truly be well positioned to add value to their clients. I spent most of my childhood years moving between Africa, Latin America, and the U.S. For university, I attended Wheaton College, a U.S. liberal arts school in Chicago where I studied business economics and geology. I began my career on Wall Street with Blackrock, the world’s largest asset manager with $6.29 trillion in AUM, after which I joined Morgan Stanley. At MS, I was exposed to a wide variety of business models across almost every industry as part of an equity sales and trading desk, where I had the privilege of working on the IPOs of companies ranging from Etsy to Alibaba. Among other tasks, I also worked on market sizing analyses, assessed pricing/monetization models, and built the full gamut of financial models. Post Morgan Stanley, I launched my own startup, Konvoy Ventures, a venture fund focused on esports and video gaming. This breadth of experiences over the years, including my work with over 25 companies at Toptal, has allowed me to learn from a variety of entrepreneurs and businesses. This background is something I have brought into each client engagement & business I work with today. In a sentence, great business plan consultants help entrepreneurs and management teams plug strategic gaps and blind spots in their business models, strategic thinking and monetization plans, not only at the pre-launch stage but also during the growth phases of their businesses. Holistic View of the Business, Plan + Model: Oftentimes entrepreneurs and managers find themselves too deep in the thick of things or too caught up in the allure of specific ideas to maintain the necessary, unemotional perspective required to drive success. Business plan consultants, at a minimum, provide a dispassionate but expert-level view on the whole business and its elements, especially against sector-context and idiosyncratic market forces. Market Sizing + Assessment: Most business plan consultants are skilled at conducting market sizing analyses—an exercise that is indispensable to an entrepreneur and manager in assessing, confirming or validating their enterprise’s/product’s total addressable market (TAM). 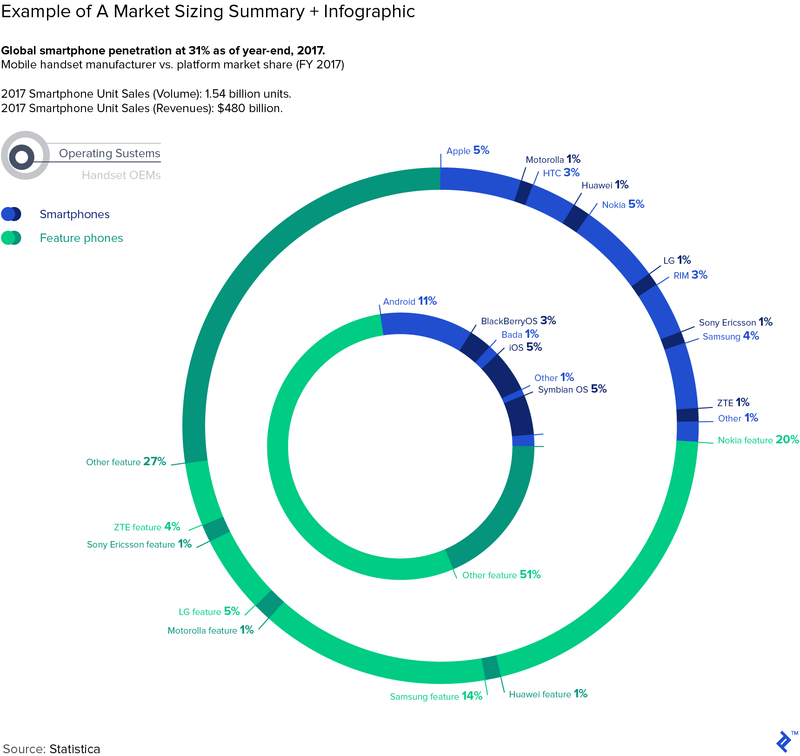 By way of illustration, the assumption that you will command a market share of 5% of a $50 million industry vs. say, a $500 million industry or TAM will imply very different outcomes for fundraising, resource allocation, choice and direction of product innovation, team structure and even whether one’s choice of the “problem-to-be-solved” is the right one in the first place. An analytical and correctly executed TAM analysis is one of the bedrock elements of every successful business. Get this one right. 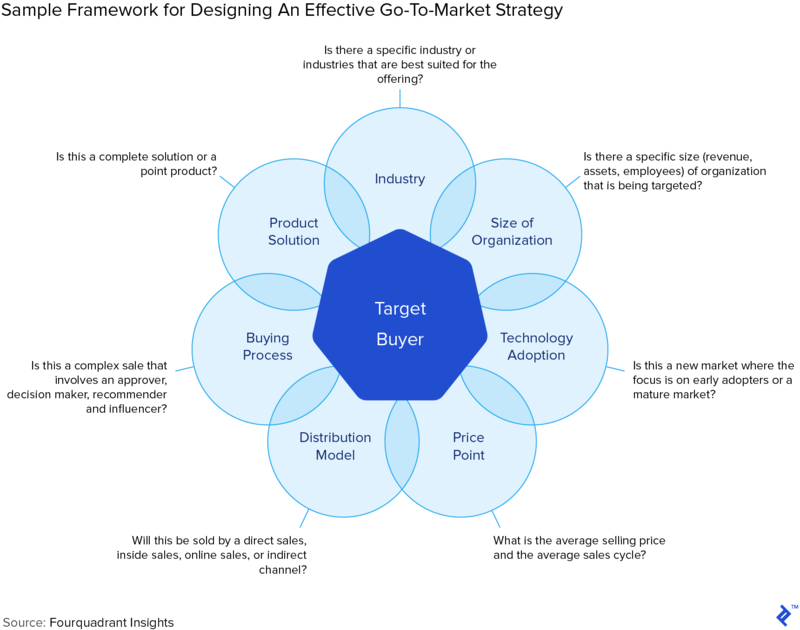 Go-To-Market Strategy: A go-to-market strategy is a pre-designed action plan for “the who, the how and the where” of a company’s plans to reach its desired customer, deliver its value proposition and achieve/sustain competitive advantage. A good business plan consultant, given his/her personal repository of information and referenceable success/failure case-studies, can come to the table able to inform, sanity check, and stress test ideas ahead of market entry. Also, the consultant can subsequently assist with any pivot related strategizing and documentation as may be required. Pricing Strategies + Monetization Plans: Freemium vs. free-trial; subscription vs. ad-based revenue; cost-plus vs. bundle pricing — strong business plan consultants are able to qualitatively and quantitatively adapt, sensitize and represent most known pricing/monetization models to the benefit of their client, as well as speak to their relative strengths and weaknesses. Distribution or Customer Acquisition Strategy: Further, good business plan consultants are also capable of commenting on or co-designing their clients’ sales, distribution, and customer acquisition strategies, and also modeling out the strategy’s potential path to scale. This skill-range includes customer acquisition cost (CAC) analyses, various forecasting models, customer lifetime value (LTV) calculations, and other relevant benchmarking exercises, useful to understanding the financeability and sustainability of the clients’ plan. Product: Although perfecting the product and achieving product-market-fit are two of the most important elements to all successful ventures, they are, unfortunately, among the few that a business plan consultant will be least qualified to opine on. He/she may have valuable input into the process through which an entrepreneur or manager might iterate or test to get to the right answer, but the design, features, mechanics, applications, and use-cases of the product will fall squarely on the shoulders of the entrepreneur and product team. Fundraising Strategy: Finally, great business plan consultants will often have a strong pulse on the market—what it has an appetite to fund and what is trending hot vs. not. This information, combined with the experience to distill, interpret and frame a narrative that will speak to the investor, is another indispensable skill that a great business plan consultant will bring to the table. A skill that may be the entire difference between a successful fundraiser and a failed one. Investor Pitch Decks: These are the 10-20 page pitch decks that have become the fundraising standard in today’s market. They usually come in concise, text-light but illustration-heavy powerpoint decks, that deliver only the most critical points related to the startup’s model, value proposition, and traction/path to scale. 20-30 Page Business Plans: Though less common these days given the sheer volume of startups pitching investors who are short on time, some businesses still prefer to go through the full exercise of documenting their entire business and execution plans. I personally find the discipline of this practice valuable as it cements and makes tangible, in a referenceable and shareable format, the full scope of a startup’s thought process. Board Presentations: For businesses that are post fundraising, business plan consultants are experts at stitching together robust board presentations for a range of situations. These situations span budgets, strategy reviews, new product or vertical launches, and/or acquisitions and divestitures. These presentations, as do the other output-types, come complete with the requisite financial analyses, market sizing outputs and the other information highlights necessary to drive home the initiative, or as requested by the client. Market Research Reports/TAM Outputs: As also previously mentioned and spoken to, TAM analyses and market research reports are also the specialties of most business plan consultants. Financial Models: Especially for Series-B and above companies, as well as for companies in the ideation/pre-launch stages of new products or verticals, detailed product, and operating models are a must. The ability to envision both single and multi-product companies, or new products acquiring market share over time, then converted into sensitized, multi-year forecasting models is a rare, value-added skill that only the best and most experienced business plan consultants will have. Shop wisely. What About The Qualitative Skills? Ability to get up to speed on your business and industry quickly. This attribute speaks to both intelligence and experience. To the latter, there are only so many business models, model adaptations, pricing strategies, market types, etc. that exist at any given time. Thus, the more diverse your consultant’s breadth of experience, the faster he/she will recognize patterns and surmount the learning curve. In my view, the best consultants shouldn’t require more than 2-3 hours of reading material and Q&A time to get current on relatively straightforward business models, products and industries. It’s worth noting, however, that this timeline will vary for more technical companies and industries. Understands People. Great business plan consultants understand that behind every startup, product, and strategy is a person, complete with a lifetime of experiences, struggles, successes, and failures. EQ (emotional quotient), in addition to IQ, is key here—i.e., the ability to interact, communicate, empathize, and connect with a range of personality types. Said differently, “how you say it” is as, or often more important than “what you say” and is often the difference between success and failure on mandates. Thus, as my two cents to clients, look out for the folks who listen closely, who ask the human as well as the technical questions, and who really try and get to the heart of what you’re building, how you operate, and why you do what you do. An Accurate Pulse On The Market. Also previously mentioned—and especially important where fundraising, the latest technologies, and the latest business models are concerned—the best business plan consultants have a fairly accurate pulse on the market. And by this, I don’t mean a cursory understanding of what the market wants or has created; I mean a truly powerful grasp of the subject matter at hand such that the consultant is able to adapt the best elements to the benefit of his/her client. Why Hire A Freelance Business Plan Consultant vs. A Full Time One? The answer to this mostly depends on the size, stage, and resource-base of the company in question. Most startups are too small to justify the cost of a full-time CFO or Chief Strategy Officer (i.e., the individuals whose skills and experiences match great business plan consultants). Larger companies which may have these capabilities in-house may struggle with the threat of “resource drift” in having these individuals focus on non-core projects, especially if these projects have low probabilities of conversion. Optimizes The Cost to Value Ratio for The Company: Given the 1099 (hourly/freelance) nature of business plan consultants, clients save materially on overheads. These include everything from social security and benefits to the cost per square foot of housing the new resource as an FTE. Allows Clients to Take Advantage of “Experience Arbitrage”: In the choice to freelance, consultants willingly trade financial reward for flexibility. Thus freelance consultants enable clients to take advantage of what we in the business call “experience arbitrage”. This refers to the fact that while business plans consultants do not come cheap they do come materially cheaper on a per project basis than their full-time equivalents for two individuals with the same qualifications. Thus, a freelancer with ‘a decade on Wall Street, startup experience, industry relationships, and a multitude of prior clients’ will always work out to be a steal relative to a full time hire that would cost hundreds of thousands of dollars, plus benefits, bonuses, and equity (assuming a CFO or Strategy Officer). Choice, Range, Flexibility: As different from the challenges you, as the client, would face in trying to separate from an ineffective but expensive full-time hire, freelance business consultants can be hired and fired within reason, at a moment’s notice. They come with the same skills and the promise of value creation as FTEs but also afford you infinitely more option-value in your ability to try as many out as you please before arriving at the right fit. The choice to hire a freelance business plan consultant vs. simply bringing on a full-time individual will vary by objective, stage, and founder/manager predisposition. Most startups and growth stage companies are too young for full-time CFOs and/or Chief Strategy Officers, but absolutely still need the expertise, skills, and capabilities at times. And while later stage companies may have the resources and capabilities in-house, their current priorities may not allow for their resources to drift in the direction of new, potentially valuable but unproven projects. Business plan consultants, once well understood, represent effective, skill-based temporal bridges that all types of companies can find value in. It wouldn’t hurt to begin experimenting with a business plan consultant (in a low-cost, risk-free format), who could work out to be a valuable resource in the not too distant future. What is the job description of a business consultant? A business plan consultant is a qualified individual who provides non-binding strategic advice, and oftentimes execution capabilities, to the management teams of startups, growth-phase businesses, and mature corporations, organizations, or non-profits. What makes for a great business plan consultant? The best business plan consultants come with extremely diverse backgrounds that span industries, venture life-cycle stages, macro-environments, and cycles. Further, they come with both quantitative and qualitative skills, as well as high IQ and emotional quotients that enable them to connect with their clients. 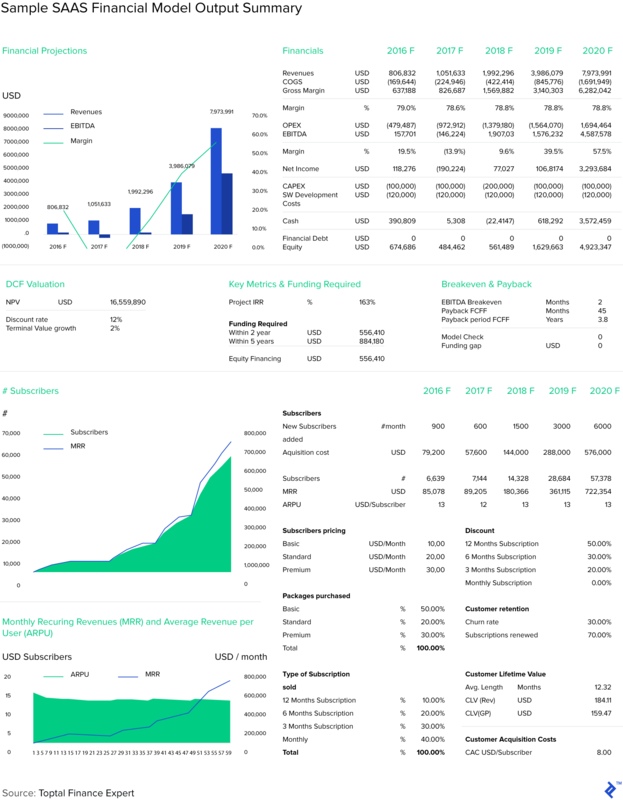 A business plan should include an overview of the business, its market size and launch product, its go-to-market strategy, pricing and monetization strategy, team overview, unique value proposition, target customer, and distribution strategy.